Hey Everyone - it's finally summer! The kids are out of school (this was their last week here in central MA due to all of the snow days this past winter), and all the signs are that summer looks like it is here to stay, at least here in the North East. The almanac helps - today we experienced the longest day of the year - the Summer Solstice arrived just after midnight last night, and now I can feel just a bit less guilty about taking a bit time off during the day, as the early morning and late evening is the best time to work in my garden. 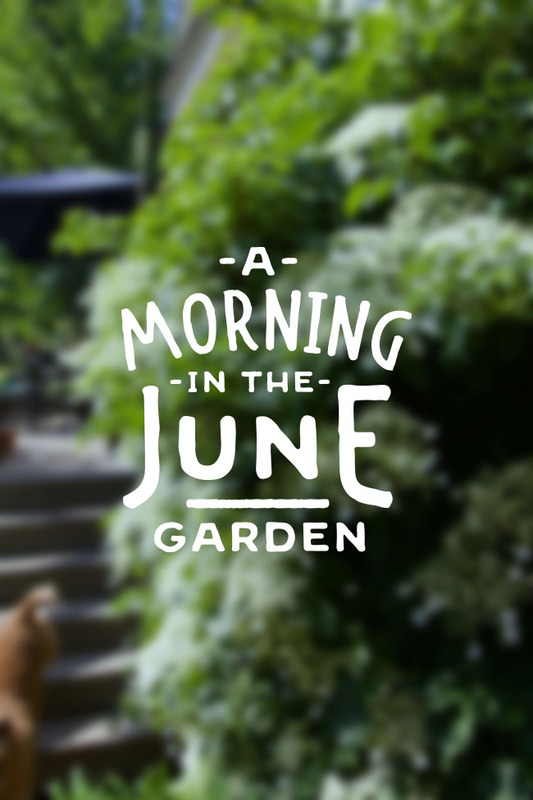 June is the gardener's month. 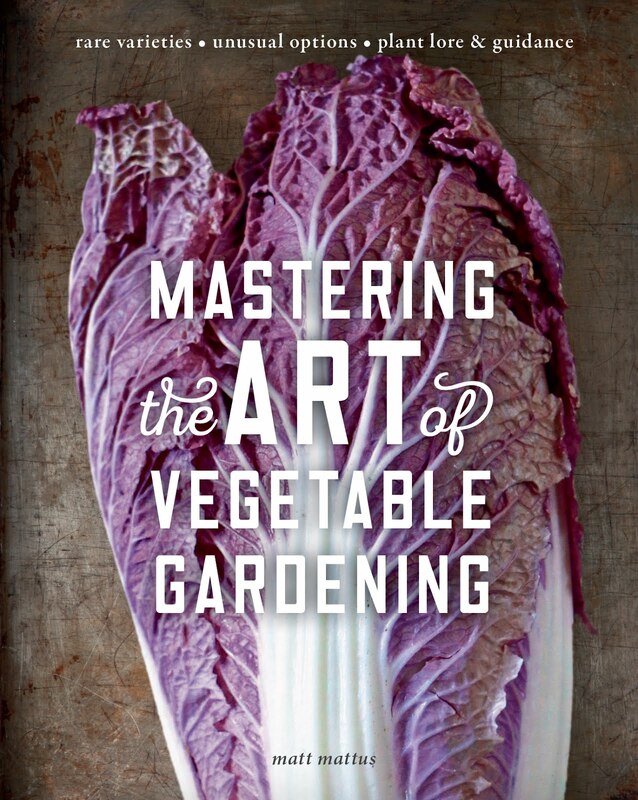 A task-month where one has strict deadlines to meet based on the length of the summer gardening season. Before I start - A NOTE - You may have noticed a 'fake link' and 'fake post announcement linking you to someone who has created a fake site using the name of this blog (it came to you as an email notification if you signed up for RSS feeds to this site. I don't know yet exactly what has happened, but Google is working on it. Maybe being hacked is a good sign? Not sure yet. Hopefully they will be able to track who is infiltrating my blog URL, and toying with me, but I think that it is pretty clear that the site and the post is not from me. I'm so sorry, and I apologize for any confusion. We have a photo shoot here in a couple of weeks for a major magazine article that will be published next summer (a kind-of big one, which I cannot disclose just yet) but if you ever saw our place, you wouldn't even guess that we were getting ready for that! Oh the mess! (I know, I always say that - but really, this time the garden is exceptionally out of shape! I'm guessing that I am not alone as I've visited many gardens this spring and I know few, if any that looked 'perfect' with all of the rain, record cold weather paired with two record-breaking heat waves, it's amazing that anything looks good. Good photo angles will help. 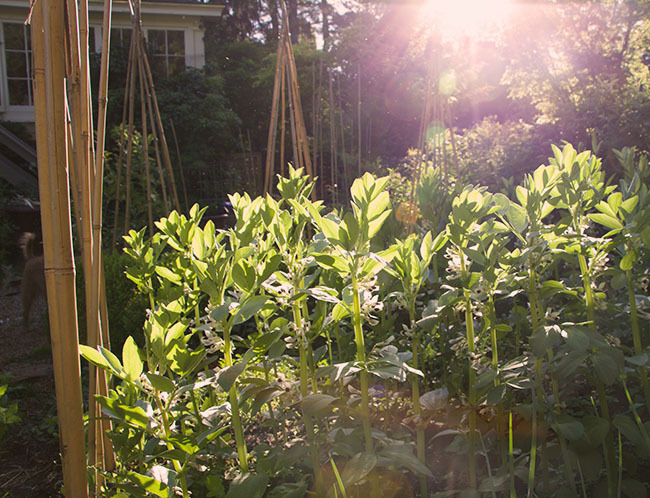 Broad Beans (four varieties) are in bloom and will soon form pods. This is one crop enjoys the cooler than normal temperatures this spring. 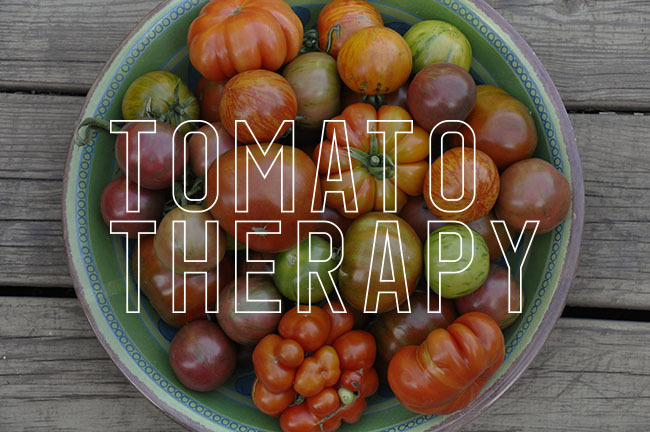 Now that I am home from traveling a bit, (seems like everyone wants me to see their garden, but I am enjoying it). The home garden needs attention though - endless attention. I am trying to catch up with some garden chores - Oh geesh! That sounds like the most cliche statement of all - but don't we all say that? Weeds are growing faster than weeds, and sweet peas need daily staking but the cool weather makes such tasks enjoyable, at least for me. I visited White Flower Farm this week and bumped into Cheryl who was busy with muddy jeans and boots, planting their border. We both agreed that this weather really couldn't be better. 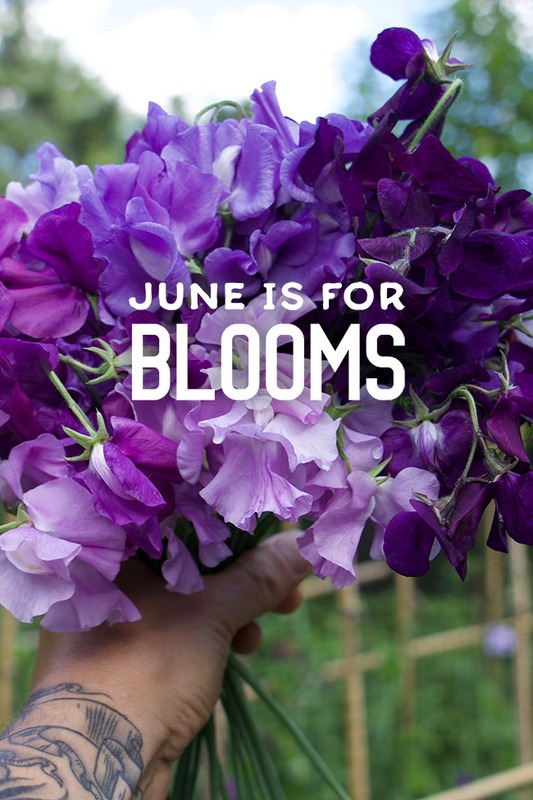 The truth is that it is June now and for much of us, we have little to complain about if we are true, hard-core gardeners given the weather and it's delightfully wet and cool gift (sure, we can;'t cut the lawn, but in many ways, that's a gift to us gardeners as well! ).